Suzuki Musical Instrument Manufacturing Corporation, Ltd.
Mr. Manji Suzuki, the man behind one of today's leading manufacturers of quality musical instruments. He founded Suzuki in 1953 that initially created Harmonics and later on developed the Medolion. His instruments are officially adopted and in use in various schools in Japan today. Mr. Suzuki was born in 1923 and always believed that musical instruments should always be available to the people all over the world. Ever since then, he has been making timeless and durable instrumental pieces. It was a humble beginning in the small town of Sumiyoshi in Japan. At a rented farm estate, Mr. Suzuki has been making his harmonicas until the wee hours of the morning. Eventually, he joined forces with his friend and borrowed some money and moved the production to a larger space. The next step would be actually getting some sales for the Harmonica and what they did was they made a contract with wholesalers in Tokyo and Osaka to introduce their products to the market. In the year 1947, the Ministry of Education made a big move by integrating music and playing instruments into the curriculum of Japanese students. This was a great chance for the Harmonica to be introduced into education since the guideline of teaching indicates the use of Castanets, Xylophones and of course Harmonicas. The guidelines for teaching were revised in 1951 up until 1958 emphasizing the importance of utilizing Harmonicas in the education of students from Primary School all the way into the third year of Junior High. Thus, the need for Harmonicas skyrocketed and Mr. Suzuki could not be any happier. The establishment of the Suzuki Musical Instruments Manufacturing Corporation, Ltd. was marked in the year 1952, and the office was then moved to its present office in Ryoke in Hamamatsu. By 1957, Suzuki Corporation has been making at least 700,000 pieces of Harmonicas due to its demand and growing market. Despite the stiff competition with the other Harmonica manufacturers, Suzuki Corporation remains to be a top producer competent enough to meet the demands. Suzuki music: What Set them Apart? One of the innovations that Suzuki Corporation is proud of is the invention of their instrument called Melodion. The inspiration started when Mr. Suzuki saw a Melodica in a department store in Osaka. It was a button type version of Melodion that originated from Germany and at that time seems not to fit for musical education. Mr. Suzuki then modified the Melodica into a newer version with keyboards instead of putting buttons. The ministry of education noticed the new instrument and recommended to be used in school. Despite the resistance at first, it was eventually accepted into school curriculums despite the high cost compared to the Harmonica. According to the teachers, it was an effective way to teach the students controlled breathing and increase the skills in the use of the keyboard. By 1967 and 1968, it was officially included in the list of standard equipment in schools. 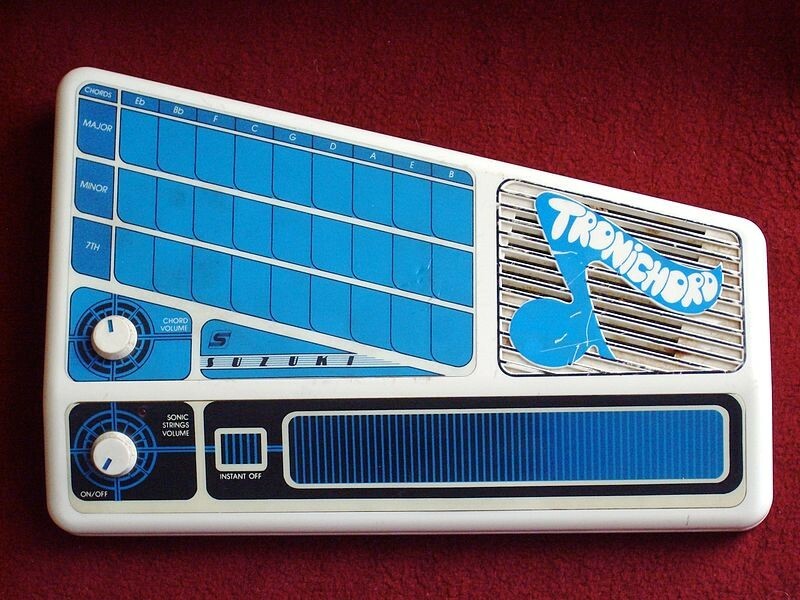 Thus, the Melodion became the primary product of Suzuki Corporation and was called the Keyboard Harmonica. Mr. Suzuki's dedication to improving his products remain undeniable. Amazingly, he would be traveling to different schools and interview teachers regarding their opinion on how to improve and change the products for the better. Thus, he had developed a friendship with the people in School and they were more than happy to be promoting his products. The schools became the primary market for Mr. Suzuki's musical instruments. In addition to this, seminars are conducted to instruct the teachers on how to use the instruments properly and how it can be taught to the students effectively. He is indeed a man of music as he also teaches Taishoh-koto classes. His classes are normally conducted in district meeting halls that is just as few meters near his sales office. It has become as life study for middle-aged to senior citizens. In 1992, it was officially turned into a corporation. In 1994, Suzuki organized a group that would promote lesson classes and was eventually called Suzuki Harmonica Promotion Association. The organization was chaired by famous musician like Yamamoto and Miyagawa, who are both famous composers. The Harmonica is considered to be one of the primary product for Suzuki. Basically, there are three types of Harmonica: The Diatonic, The Tremolo, and the Chromatics. The Diatonic has 10 holes that produce tones and semi-tones similar to that of a Piano scale. This is the first Harmonica ever created and the most popular to be bought in Europe. The Tremolo Harmonica is created with double holes placed on a vertical position, this type of Harmonica produces a more traditional tone than the others. It is said to be a more favored choice among the countries in Asia. Finally, we have the Chromatic Harmonicas that was created to do the missing tones in the diatonic type of Harmonica. The Tremolo is the choice of instrument for playing Jazz and classical music. There are also special kinds of Harmonicas such as the Chord and Bass Harmonicas. The most common and the easiest is the Key of C. Also, this instrument is available in Plastic and Metal. The plastic type is more economical and less pricey than that of the metal harmonica, which is normally used by professional musicians. There are various techniques in playing this instrument such as bending (altering the note from the standard pitch), overblow (changing the note up in pitch), Cross-harping, and Vibrato (the pitch of a note is to waver rapidly). A unique instrument that produces a diverse sound, it offers a new taste in Music. It was an invention of Suzuki during the 1950s since they were looking for an instrument that can be used for teaching with additional keyboard skills and mastery of controlled breathing. Thus, the creation of the Suzuki Melodion. There are three ranges when using the Melodion: Soprano, Alto, and Bass. For solo use, the Alto Melodion is the most recommended. The Suzuki also creates a timeless piece such as the Piano. The most sought-after model is the Grand Reponse II or Suzuki HG-510e that is a mini grand piano, which can be used at home, school or music halls. This beautiful instrument creates 80 watts of power that can vibrate and produce music for a large concert hall. The Suzuki SE-200 or the classroom piano is another model that is not only portable but also recreates the sound of an acoustic grand piano. It only weighs less than 20 kilos so it can be brought anywhere as it produces 30 watts of power, which is enough to fill a concert hall with music. It is also designed in a modern way because it provides a port where a USB can be inserted to save music, files, and songs. 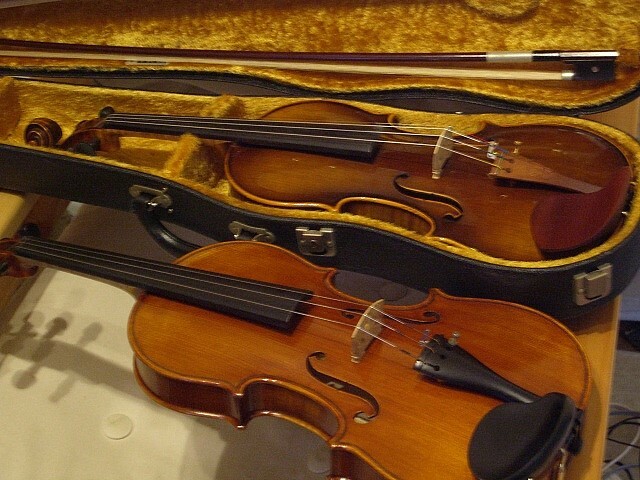 The violin models of Suzuki are also the most sought-after instrument in the whole collection. This beautiful violin is made with an elegant spruce top that is fully carved. The back, neck, scroll, and puffing are also beautifully carved and covered with maple. When buying the NS-20 outfit, it is already complete with accessories like the violin gig case or traditional case, and most importantly the Violin Bow. The bow is made out of Cherry wood and Mother of Pearl inlay. This is a digital musical instrument that is created by Suzuki, it is one of a kind because it sounds like a piano, strums like a guitar and can be played like a keyboard. It provides a fun way of learning how to play an instrument and can also unveil the inner musician in every person. A song cartridge is available to play various types of music and can even play ones favorite tune. When using the Qchord, it is advisable to place it on top of a table or desk. A comfortable chair is also recommended with the feet resting flat on the floor. Also, the height of the chair should be in line so that arms, hands, and elbows are placed comfortably to avoid wrist strain. Thomas Music India is an importer of quality musical instruments, including Suzuki instruments. Aside from this, they also have an online Suzuki store that offers a variety of musical instruments available. The site also features the Indian Musician Institute that offers study grants to Musician Institute in the US. 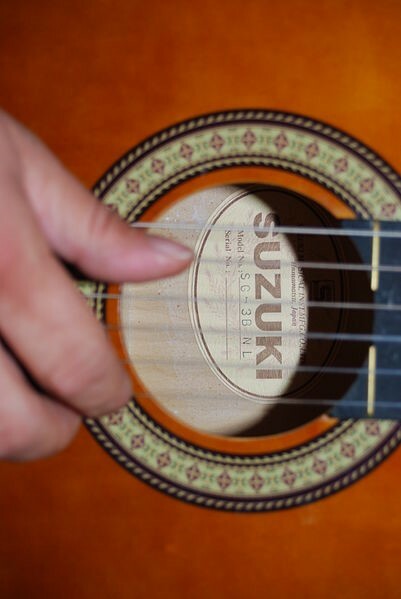 The Suzuki Europe Limited is the official distributor of Suzuki Musical Instruments in the United Kingdom. All the musical instruments are shipped from their mother company in Japan, Suzuki Corporation. Aside from getting the quality instruments in the local music stores, they are also available online and can be shipped internationally. They sell Harmonicas, Violins, Percussions, Accessories and a lot more. In this subsidiary, they also showcase Suzuki instruments that can be used for Music Therapy. In addition to this, books and publications are also available for a tutorial and even for children. The Hammond USA is a subsidiary fully owned by Suzuki Japan. It has been in business for over 75 years and has been providing quality musical instruments to the people. The items can be added to the cart or basket before checking out. Some feedback from the users is available so that it would provide a little information to potential buyers. The Hammond Suzuki Europe B.V. was established in 1989 as a subsidiary company of Suzuki Corporation. Its primary goal was to distribute and market Suzuki products throughout the countries in Europe. In addition to this, they have a role in the development and enhancement of new products that are considered to be state of the art. The office is based in the City of Vlanen in the Netherlands. Through the years, it has been distributing quality musical instruments at a competitive price. According to Bloomberg, the stock price is at 892 Japanese Yen as of to date and may vary from day-to-day. It all depends on the performance of the company in the market. Thankfully, they are among the most recognized musical instrument manufacturers in the world, recognized by many of the top artists around the globe. Howard Feldman has been the president of the Suzuki Corporation, based in the United States, for over 40 years. His Suzuki Corporation is now currently based in San Diego, California. The CTP-88 is just one of the innovations created by Suzuki Manufacturing Corporation. It is a beautifully designed digital piano that is mainly for teaching and music education. This musical instrument offers musical accuracy that is also accessible through modern technology. Ironically, one would describe it as a computer with built-in keyboards. Aside from classroom use, it is also perfect in the creation of music at home. It has a hi-tech feature such as the use of Bluetooth for accessing music, lessons and even video demos. In addition to this, it can also be connected to the internet for easier access to updated music and demos. One of the most noticeable features is the full-color LCD display that makes it easier for the user to access music and lessons, especially from the internet. The CTP-88 is indeed a state of the art invention that has the following innovative features: 128 Note Polyphony, Enables Bluetooth Access, Powerful Sound System Delivery, iPad Connectivity is possible, USB access for plug and play purposes, SD Memory Card where a music library can be saved for easier access, Play Along Songs that are pre-loaded in the CTP-88, LCD Screen that is considered to be user friendly, and of course the Authentic Piano Sound. As of today, it is described to be the most useful in teaching music that is also adaptable to technology. In addition to this, a child can be creative with the use of technology and features that can assist them in making their own music. The most important of it all is despite its added features, it still sounds like an authentic Piano. The kit comes with a stand and bench. Some of the feedback for this product include that it is easy to use and the sound is just like a real piano. Though there are also some downsides, the pros outweigh the cons.